Do you still have "sessions"? Our class program has always been an ongoing program with the option to enroll for as little as 8 weeks (previously called a “session”). After April 22nd, we are no longer designating any specific dates for those 8 week options. You do however still have the option to pay for 8 weeks and not become a member. Visit Class Passes to purchase that option. Why do the prices say "and up"? Our membership options are based on class duration. We have 4 different class durations across our program. Visit our classes page prior to the online store to determine what class your child would fit in and note the duration prior to viewing memberships in the online store. Are there recommendations when it comes to booking classes? Glad you asked! Yes there are! The skills the students will be learning require a reasonable amount of strength & flexibility which takes consistency and repetitiveness to obtain. We recommend scheduling at least 1-2 days per week depending on your plan. Coaches are also better able to train those who they see repetitively so you should try to schedule with the same coach whenever possible. Once you purchase a membership you will be able to start booking classes (scheduled after 4/22/19) immediately either with our staff or by using the Extreme MindBody website. We highly recommend booking your classes for the next 8 weeks to ensure your best availability. Classes will fill! 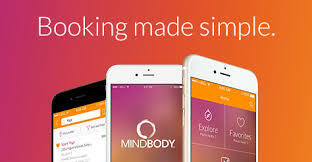 The MindBody app will also be available to book 24-72 hours after you have made your purchase. Am I able to cancel scheduled classes? Yes you are! Just go online, log in to your account, view schedule and cancel whatever is needed and rebook on the date you choose. We just ask that you provide reasonable notice so that we may offer your spot to other students. Classes must be canceled prior to 12pm on the day of the class to retain the allotted visit. Late cancelations will forfeit the visit. Why don't I see membership options on the MindBody App? Unfortunately, at this time you are not able to purchase memberships on the app however you can by using the link on our website or by giving us a call. Are the any hidden fees? No there are not! We have done away with the annual registration fee for all class students. When enrolling for a membership you will pay only the one time enrollment fee and your 1st month’s payment. What if I prefer to pay cash? We can take cash or check payments however all membership options are set up on auto pay and require a valid credit card on file. If you prefer to pay cash or check you are able to pay in the office. Please allow 3 days prior to your payment date to avoid being double billed. If you do not have a valid credit card to to leave on file then the Class Pass options will better suit you. Did you know you are able to suspend your membership for up to 3 month? Suspending instead of canceling will reduce your monthly payments to $10/mo. and prevent you from paying another enrollment fee if your student decides to come back. Still want to cancel? Just submit your request in an email to info@extremegymnasticsusa.com (or complete a cancel request form in the office) at least 30 days prior to your desired cancel date. Any payments due within that 30 day period will be drafted as usual. We do not offer online or verbal cancelations.